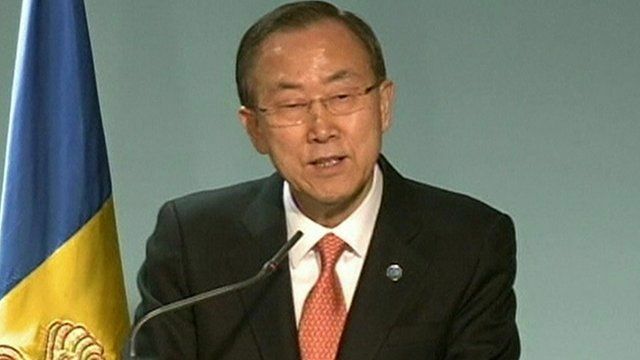 N Korea: Ban Ki-moon 'deeply troubled' Jump to media player United Nations Secretary-General Ban Ki-moon has told a news conference the North Korea crisis could become dangerous. 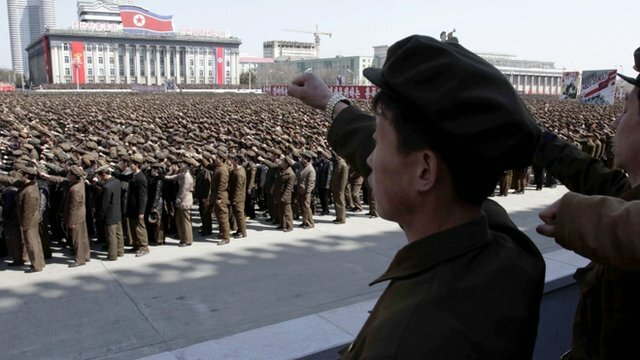 N Korea 'to restart nuclear reactor' Jump to media player North Korea says it will restart its main Yongbyon nuclear complex, closed since 2007, amid high tension on the peninsula. 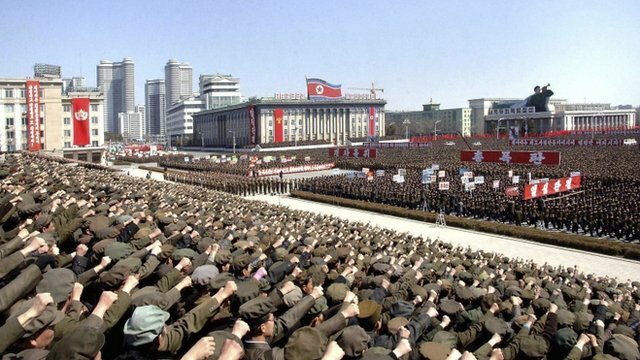 N Korea 'on collision' with South Jump to media player North Korea appears to be on a "collision course" with other countries which could lead to war, according to the United Nations Secretary General Ban Ki-moon. 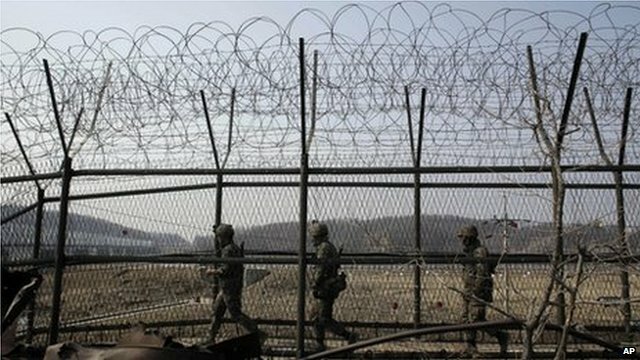 Views from Korean border crossing Jump to media player Lucy Williamson reports from the border between North and South Korea, as South Korea's president promises a swift military response to any provocation from the North. United Nations Secretary-General Ban Ki-moon says North Korea appears to be on a collision course with other countries that could lead to war. He said the North Korea crisis had already gone too far. He told a news conference in Andorra that the situation could become dangerous.